Our eyes help us immensely from the day we were born. It helps with our development and aid us in identifying things. As we grow older, we use our eyes more often for work. But constant use of this organ can cause strain and affect its performance. If you are working in front of your computer for more than eight hours, you need to ensure that the brightness of the design is appropriate for your surroundings. If the screen is too glaring, you need to lower the brightness level. But if the screen is looking dull and greyish, you need to take your brightness level of your screen a little higher. When your brightness level is too high or too low, your eyes would need to work extra hard to balance it out. What you eat and drink has a direct effect on your eye health. Eating food that is rich in lutein can help prevent vision-related problems and protect your eyes from damage. Lutein can help prevent certain eye diseases like eye cataracts and macular degeneration. Lutein-rich foods include grapes, zucchini, spinach, orange juice, and squash. If you have a habit of wearing eye makeup, you need to ensure that you remove it properly and carefully at the end of the day. Oil-based makeup can clogged your glands that can lead to eye irritation and other eye-related problems like nasty eyes and conjunctivitis. Be sure to invest on a high-quality makeup remover and be sure to wipe all traces of makeup from your eyes. 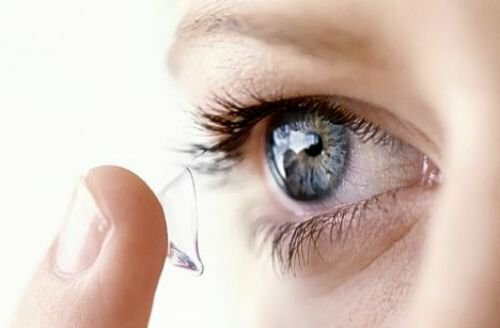 For some people, wearing contact lenses can be complicated. When applied incorrectly, it can cause eye irritation. Be sure to know the proper way of applying and removing them to avoid eye irritation.